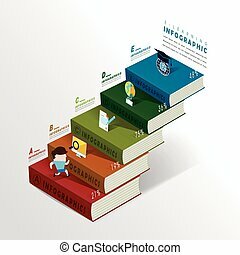 Education infographic with book stack and icons. 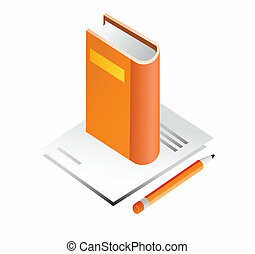 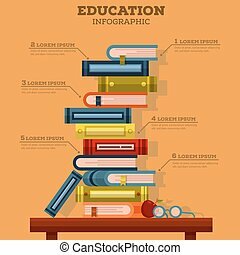 Collection of thin line education and reading icons with books. 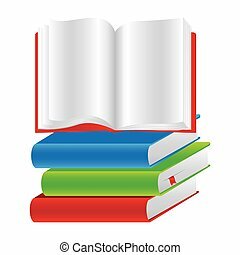 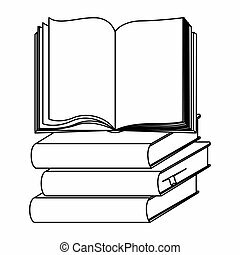 Different vector books - open book, book in hands, bookshelf. 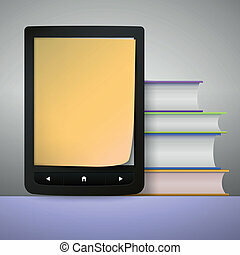 Stack of colorful books with electronic book reader. 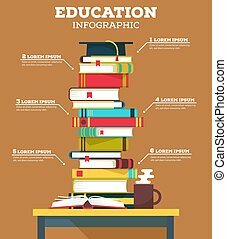 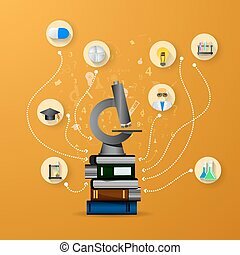 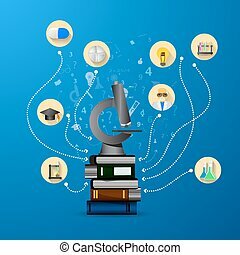 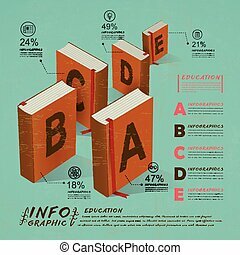 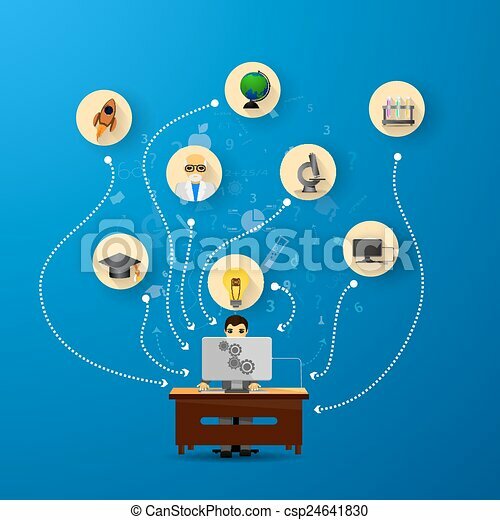 education infographic with book stack and icons on blue background.